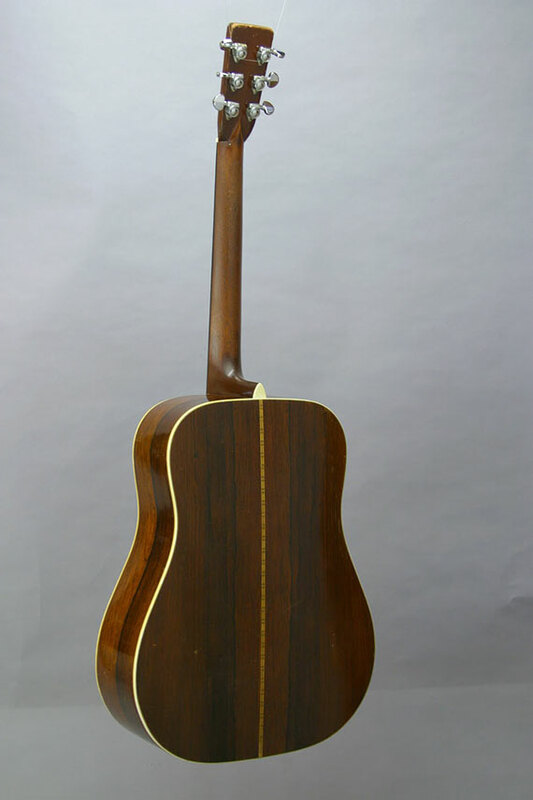 Certainly there's a general agreement among flat top steel string guitar aficionados that the Martin D-28 is the most desired and copied model. 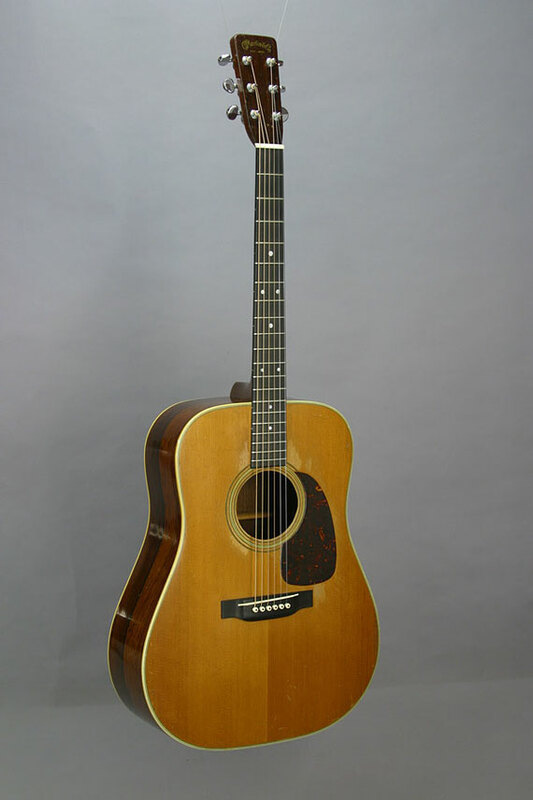 Martin's largest instrument, the D-28 has the volume and depth of tone so prized by today's musicians. 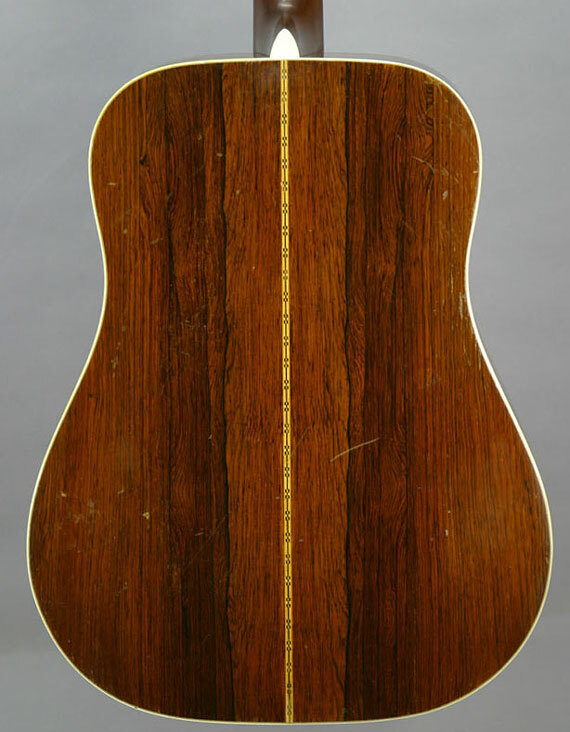 This example was made in 1958, and is has a particularly strong voice, along with some of the most characteristically beautiful Brazilian rosewood for its back and sides. 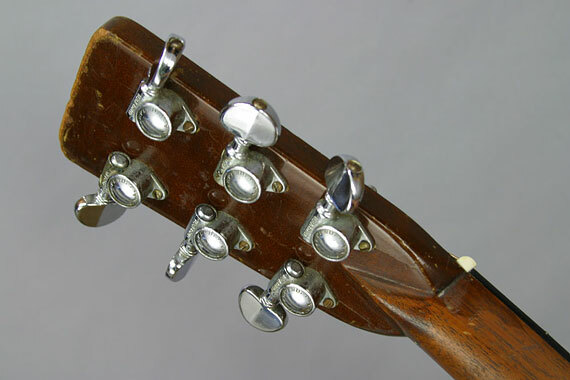 As you can see, it's a fairly "high mileage' instrument with all the finish worn off the back of the neck, and a fair amount of wear on the top and back as well. 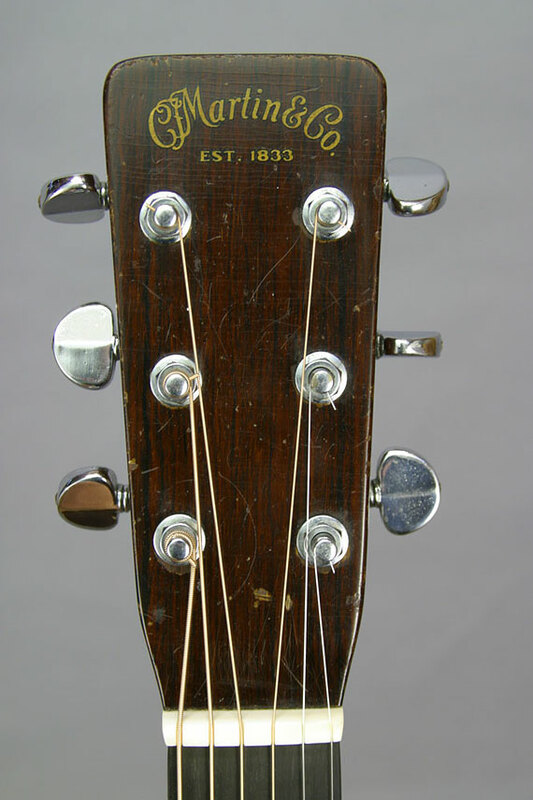 This guitar was played by Bob Shane, and featured prominently in all the early recordings and performances of the Kingston Trio. 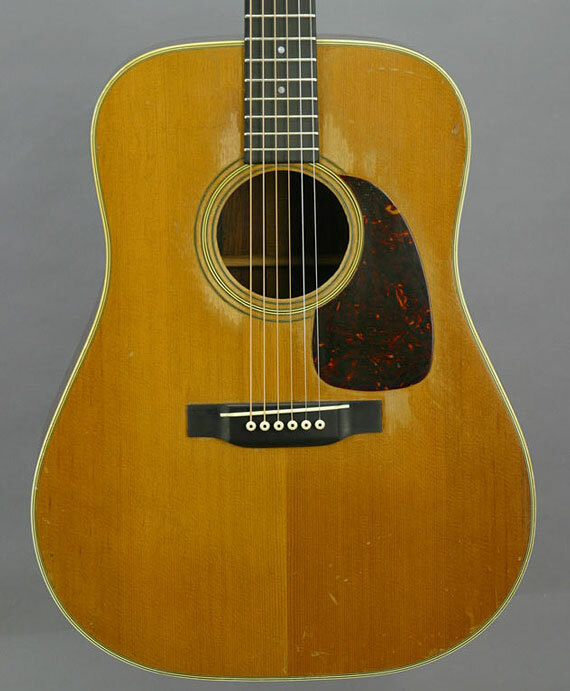 I'd say that makes it a real folk icon, wouldn't you?